Participants immersed themselves in an Aboriginal cultural dance workshop over the weekend. 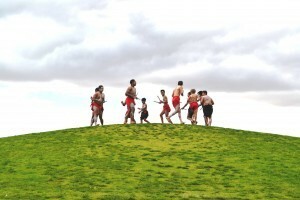 Aboriginal boys dance on the Grassy Knoll, Victoria Park Lake, Shepparton. As part of the Activities in the Park and RiverConnect programs locals, visitors and many on-lookers were treated to a Traditional Song and Dance display on the foreshore of Victoria Park Lake over the weekend. 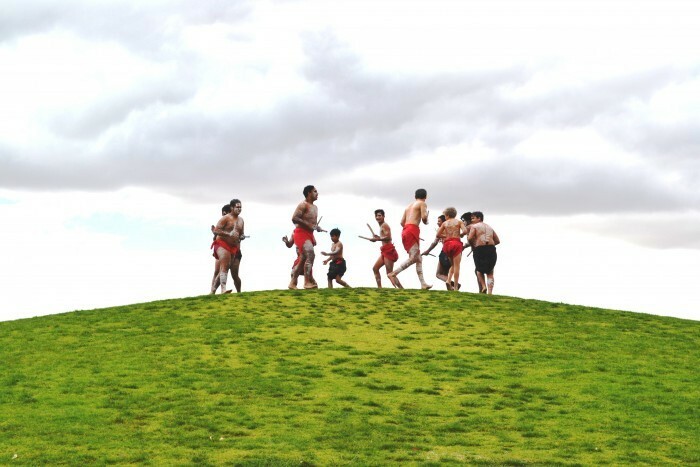 The local dance group led by Shane Clarke, made up of dancers from Mooroopna Secondary College and Shepparton High, braved the cold wind to perform a number of traditional dances depicting Aboriginal life before European settlement. The boys were truely mesmerising and captivated their audience with their ability and passion. Thank you to the boys who participated, Shane Clarke and the Activities in the Park staff for such a unique cultural experience.